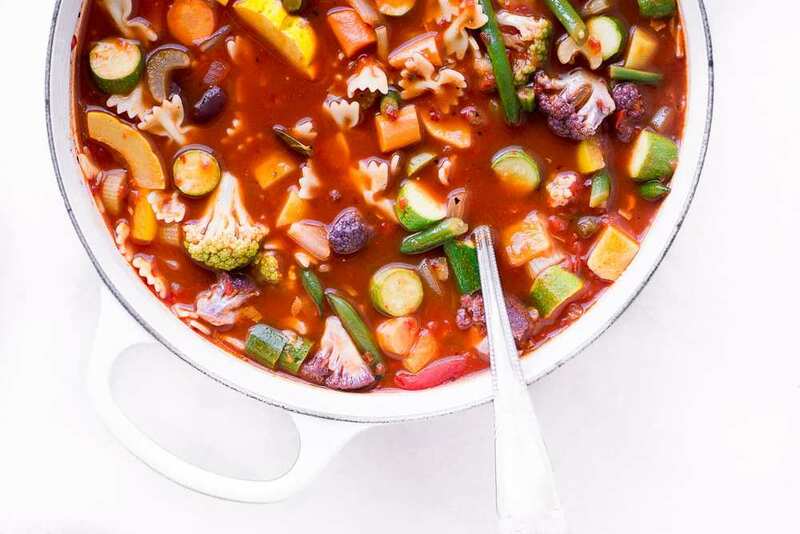 Minestrone Soup ~ move over chicken soup, this healthy Italian minestrone will cure what ails you, it's packed with vitamins, antioxidants, fiber, & flavor! Add the oil and butter to a large soup pot and sauté the onion for about 5 minutes, until softened. Add the garlic and cook for a few more minutes, stirring often. Add the celery and cook for another 5 minutes. Add the broth or stock and bay leaves to the pan.